Oh I LOVE this era. Thank you! 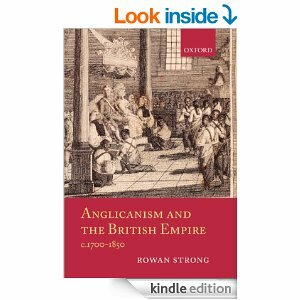 The relationship of Anglicanism and Empire did indeed change over time. But I am not sure that the British Government became more conservative (eg implementing aristocratic military rule and emphasizing social hierarchy, racial subordination and landed patronage) _simply_ because one colony failed. The established church at home had had such terrible problems since King James II, then endless Catholic attempts to take the throne back. This was a time of real fear…. paranoia even. However I must read Strong’s arguments.